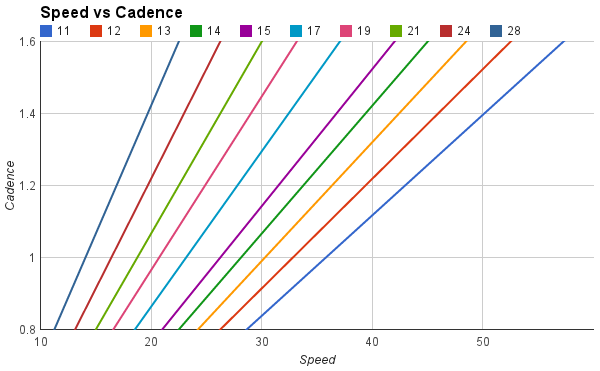 Previously, I discussed how I used the data from my Garmin Edge 500 with GSC-10 pedal and cadence sensor to analyse which sprockets on my cassette I use, and which I don't. seem to show clustering of results around what the cassette offers (its a Shimano 105 11-28 so has 11-12-13-14-15-17-19-21-24-28). 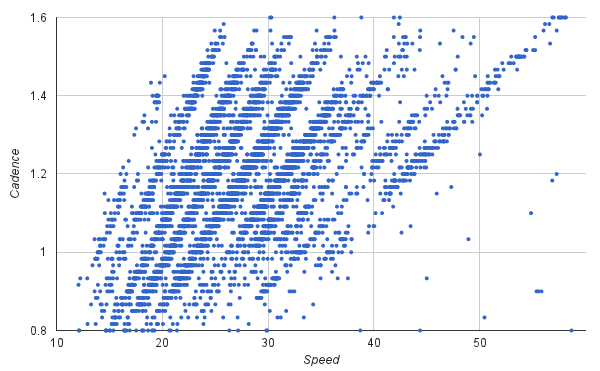 The next question is: if these are my results from actual ride data, what would a theoretical approach look like? 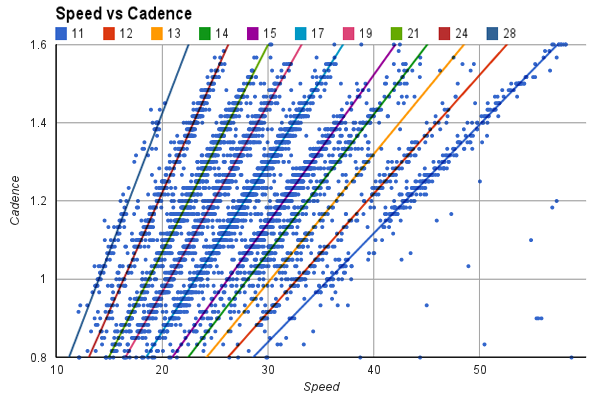 So I took the data from a longer ride (roughly 65km over 2.25 hours giving about 10,000 data points), and again plotted speed vs cadence: NB speed in kph, cadence in Hz. Woot! I would say that means yes!